Innovatum, a proud sponsor of the 9th Annual, Q1 Medical Device and Diagnostic Labeling Conference in Chicago, May 14-15, invites you to join this conference at a significantly discounted rate. This conference with will delve into labeling strategy streamlining and optimizing in a rapidly evolving international regulatory environment with a focus on developing EU MDR and IVDR compliant labels, all while enhancing localization and translation processes, with the goal of reaching operational excellence through the implementation of impactful ELS, CMS and MDM technology. Innovatum will be presenting a detailed review of the topic of EUDAMED based on published content and capabilities needed to support the required functionality. Innovatum has negotiated a $300 discount for our customers, colleagues and friends. Share this link with anyone you wish. We look forward to seeing you there! Innovatum, with our emphasis on life sciences, is pleased to be named as a major player in the IDC MarketScape: Worldwide Enterprise Labeling Application 2018 Vendor Assessment. 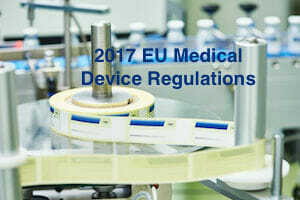 The new EU Medical Device Regulations: learn more about the new MDR and its impact on your translations. Download the FREE Whitepaper from Innovatum’s Partner Argos Multilingual! If you have further questions, please contact us at (877) 277-3016. Innovatum, Inc. is pleased to announce ISO 9001:2015 Certification by an ANAB accredited body for its quality management system for software development, delivery, and support as a Life Sciences software provider. ISO 9001 is the International Standard for Quality Management Systems. Innovatum’s commitment to quality is now substantiated by ISO 9001:2015 Certification. This development demonstrates an exciting and documented level of quality assurance for Innovatum as a labeling, regulatory data management, and submissions software company. Innovatum constantly sets the bar higher for similar companies in the industry. As a proven provider of UDI solutions, Innovatum will be discussing EU MDR/IVDR considerations based upon experience and information gained by working with leading life sciences companies and through leadership in AIM. Considerations for challenging aspects of compliance such as destination labeling, implant card, eIFU management strategies and automated label print quality management will be addressed and demonstrated. Drop by Booth #19 at the 2018 UDI Conference in Baltimore, MD on April 24-25, 2018 to join in the discussion, learn and share your experiences. 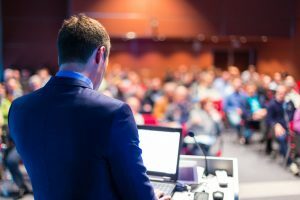 The UDI Conference allows you to hear about solutions and approaches from other companies that are similar to yours and interact directly with the FDA UDI team. Examine the agenda at www.udiconference.com/UDI_Conference/ and register at www.udiconference.com/UDI_Conference/registration/ Remember to enter “INN” in the discount field for $100 off of the published rate. Microscan, a global technology leader in barcoding, machine vision, verification, and lighting solutions, will partner with Innovatum, a leading regulated labeling software and consulting services company for life-sciences, to present a fully integrated label inspection technology helping life-science manufacturers assure that all product labels are correct and barcodes meet quality grading requirements. Although scanning technologies and software for barcode verification have been around for quite some time, this fully automated closed-loop solution saves set-up time, boosts productivity of label management and inspection processes, and ensures that the risks and costs associated with mistakes and poor quality of the labels are minimized. Innovatum will be demonstrating the integration of its ROBAR Labeling system with Microscan’s LVS-7510 print quality inspection solution embedded within a Zebra printer from the Booth #7 at the Global GS1 Healthcare Conference taking place in Chicago, IL on October 17-19. This breakthrough development is a fully automated complex solution that checks the entirety of label data to ensure data on that label is based on the information received from the Automated ID and Data Capture part of the system and is a match to the ROBAR labeling database. This month, Innovatum further demonstrates its leadership role in the Life Sciences labeling niche, regulatory data management, and submissions by contributing the cover feature article in Medical Design Briefs and an article in Medical Design Technology. As medical technology accelerates at an almost incomprehensible pace, regulations and requirements increase correspondingly. 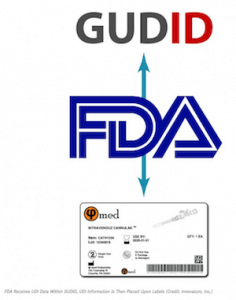 With rapid innovation and the desire to speed time to market comes more rigorous requirements for safety and effectiveness, which drives the establishment of programs such as FDA’s unique device identification (UDI) system. UDI is designed to identify medical devices through their distribution and use in their labeling and to report certain information via publicly accessible database. A regulatory driven, product design tsunami is headed our way, but at least we have an awareness that it is coming and a means of preparing for it. New requirements for destination labeling, brought about by globalization, are on a collision course with the applications of technology that we have become accustomed to. Global UDI initiatives and burgeoning breakthroughs in patient-specific modalities only add to the impact by adding to the complexity of compliant distribution worldwide. It is time to embrace a new paradigm for product design and labeling to maximize efficiency, while meeting compliance requirements for the future. While just-in-time manufacturing is here to stay, on-demand localizable labeling is quickly becoming a reality for companies that wish to remain competitive in a swiftly changing world. But patient-specific product design implies a more focused level of labeling for each unit of production. To make sense of all of this, we need to think in terms of finding a common denominator to solve these challenges. The common denominator is data. Read the full article from Advantage Business Media. Many of FDA’s Unique Device Identification requirements have already phased in. The labels and packages of Class III and Class II medical devices, for instance, must now bear a UDI. 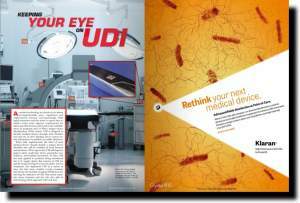 “But UDI is not over,” says Ardi Batmanghelidj, President and CEO of Innovatum, a software and regulatory consulting company specializing in life science labeling and Unique Device Identification (UDI) compliance. “In contrast, it is just beginning. Batmanghelidj explains 5 common UDI challenges and potential solutions. Read the full article from Packaging Digest. Keeping with Innovatum’s commitment to deliver the highest level of customer service, we have teamed with Oracle and it’s Cloud Platform to provide easy access to our labeling solutions in a highly secure, easily available cloud environment. The Oracle Cloud Platform provides customers, partners, and developers with everything they need to build, deploy, and extend applications and run business-critical workloads. Innovatum is well-known for keeping up with significant changes in the market and ensuring that our client’s needs our met, especially as it pertains to accessing our life sciences labeling solutions. Adopting Oracle’s Cloud Platform provides Innovatum and clients with the highest level of security and availability to its market-leading life sciences labeling solutions. Begin a no-obligation conversation by calling 877-277-3016 or clicking here. Innovatum, Inc. has announced the availability of its highly vaunted ROBAR family of solutions for regulated labeling and UDI Compliance as a cloud based “hosted” service called “ROBAR online.” The expansion of services resets the bar for enterprise labeling capabilities and support in the life sciences industry. The ROBAR family of products includes label design, management and printing, regulatory data management and submissions, and eIFU capabilities. Available as a single tenant solution, the ROBAR online solution includes all the capabilities and associated services that are expected from on-premise software. This includes expert consultation, implementation, integration, as well as validation assistance and on-going support. “ROBAR Online” in the most highly available and secure means possible. 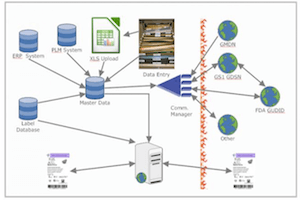 Integration with other systems such as ERP, MES and PLM remain as flexible and reliable as ever; customers always maintain access to their own data, which are not commingled with other data on the same server. Headquartered in Atlanta, Georgia, Innovatum is a leading software and regulatory consulting company that specializes in life sciences labeling and UDI Compliance.